Professor Emerita Evelyn Farbman presented her Sentence Sense website to faculty members in the Fall 2018 semester. Professor Emerita Evelyn Farbman taught English and writing classes for 25 years at Capital Community College, instructing a generation of traditional and non traditional students in composition and the basics of writing well. During her tenure at Capital Professor Farbman teamed up with her colleague and friend, the late Charles Darling (the College’s first webmaster and Poet-In-Residence), to create an early online version of Sentence Sense that complemented Darling’s comprehensive Guide to Grammar & Writing now hosted by the Capital Community College Foundation. 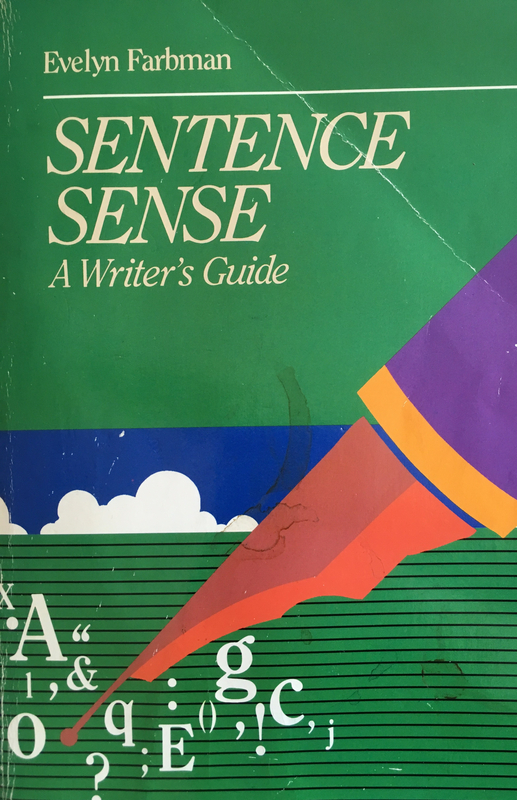 Along with the Guide To Grammar and Writing, Sentence Sense was accessible at the college website from 1999 to 2014 making Darling and Farbman pioneer developers of online writing tools. Both the Guide and Sentence Sense, initially developed just for students at Capital, quickly became popular on the web for teachers and students at all levels and around the globe. Before her retirement from the college in 2011, Farbman recognized that her college-based web page, developed with Darling’s help at the dawn of personal computer use, was encountering increasing problems and frustration for users owing to the outmoded computer languages that created it. Along the way Farbman enlisted the help of a group of students at the University of California, Irvine. An Informatics class taught by Professor Hadar Ziv and assisted by Six Silberman and Tao Wang. Students Pen Han Chang, Tsz Hang Ng, Derick Nguyen, Dylan Shigekawa, and Darien Vidaure completed a preview of the new site in March, 2015. The 2019 interactive and friendly Sentence Sense includes eight chapters including an introduction and sections on verbs, subjects and completers, modifiers, embedded thoughts, sentence combining, punctuation and English language learning. In the Fall 2018 semester Farbman shared her work in progress to enthusiastic Humanities and English faculty members, showing how the newly formatted online guide can be a valuable writing resource again in composition and English classes and on the wider web. Professor Farbman met again at the College last month with CEO Dr. G. Duncan Harris, interim Dean of Academic Affairs Dr. Miah LaPierre-Dreger, Humanities Chair Dr. Jeffrey Partridge and Interim Business & Technology Chair Seth Freeman. Planned is a partnership that will engage Capital students in Computer Information Systems (CIS) to complete development of the interactive writing guide leading to CCC again hosting a state-of-the-art resource for teachers and students. 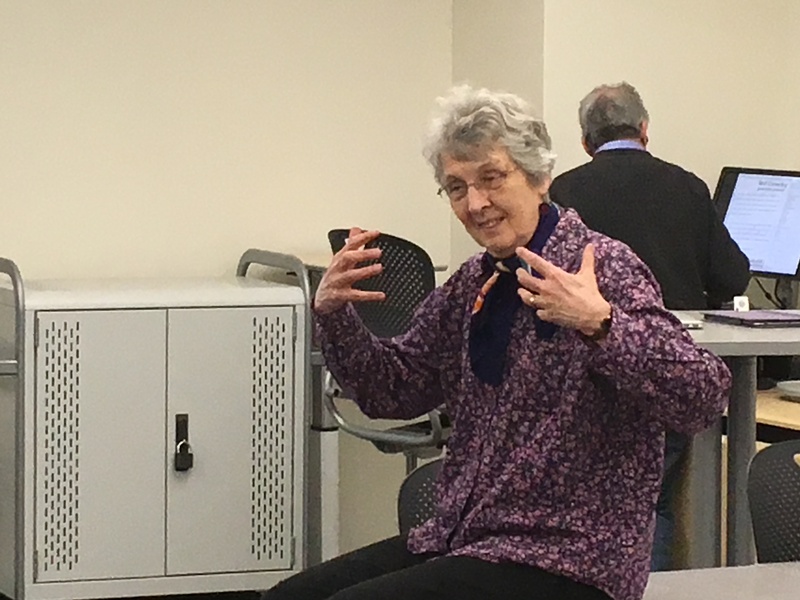 Faculty and staff meet with Professor Emerita Evelyn Farbman in the Fall 2018 semester. Col. Wilfred J. Talbot, Ph.D, a public school educator and beloved mathematics tutor at Capital Community College between 1990 and 2005, died on March 4th at the age of 88. For 15 years “Wil” Talbot tutored and guided community college students from many backgrounds at the Woodland Street and Main Street campuses. At Capital Talbot continued a passion for teaching and mentoring after a distinguished career as a teacher at Silas Deane Junior High School in Wethersfield and later in Winsted as a secondary school principal. An Army veteran of the Korean War, Talbot used the GI Bill to get his education at the University of Connecticut earning a degree in botany and a master’s and doctorate in education. An outdoorsman and avid gardener, Dr. Talbot pursued rock hunting and minerology leading mineral expeditions for the Connecticut Audobon Society. Those interests led him to play an instrumental role in the founding of Dinosaur State Park in Rocky Hill. “Wil inspired others to believe in their abilities, to pursue their passions and to invest in themselves with education or vocational training,” according to his family in a March 10th obituary in The Hartford Courant. 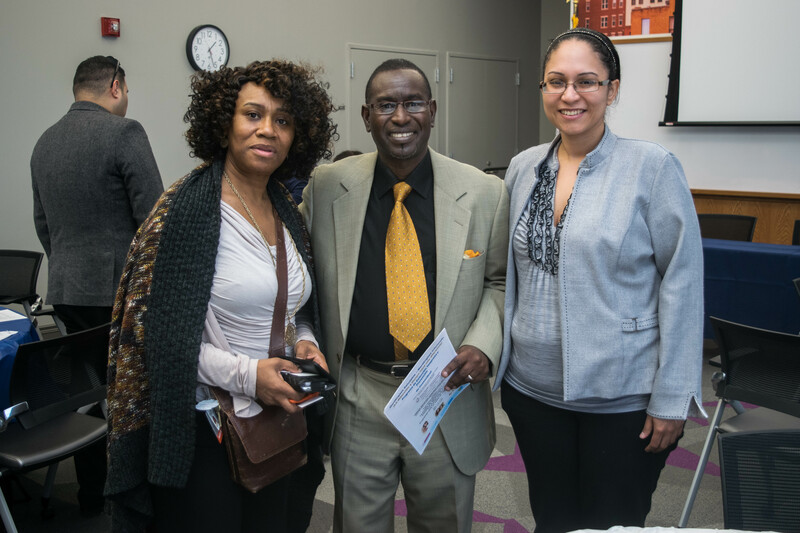 Retired Col. and educator Wilfred J. Talbot, Jr. tutored and mentored students at Capital’s Math Center for 15 years from 1990 to 2005. Those sentiments are shared by a former student and colleague of Wil Talbot during his time at the college. “Wil was a great human being, a very trustworthy tutor and educator,” said Leonel Carmona, an alumnus and an associate professor of mathematics at Middlesex Community College in Middletown. Carmona was earning his associate degree in liberal arts when he met Wil Talbot. As one of Talbot’s “tutees” Carmona would go on to earn a degree in electrical engineering at Trinity College and a master’s in mathematics from CCSU before returning to Capital as an instructor and in 2015 joining the math department at Middlesex. “His ‘tutees’ remember him as a very humble person and an extremely caring teacher. Furthermore, Wil was a very generous person and a man with a big heart. He’ll be truly missed by his family, his friends and his students,” said Carmona. Following the example of Dr. Talbot who annually made contributions to Capital’s scholarship fund, his family invited donations to Gifts of Love in Avon for school supplies and contributions to the Capital Community College Foundation in his memory. 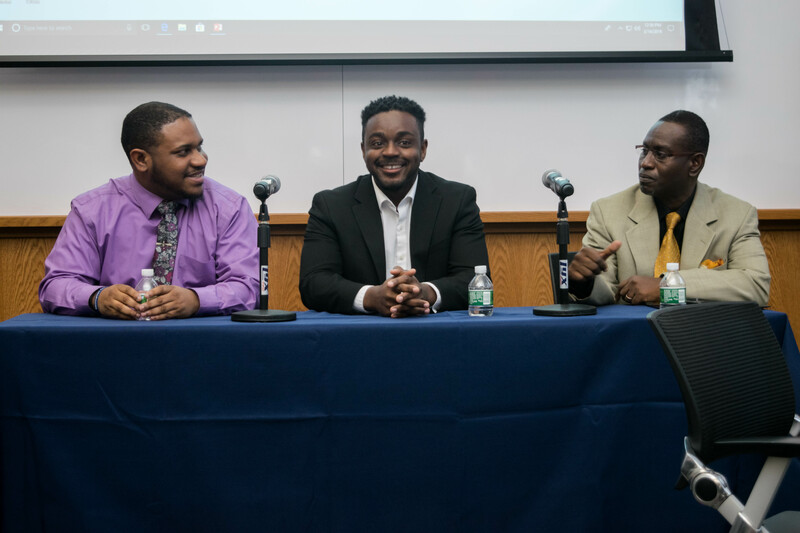 The forum, held at the College’s Walter J. Markiewicz’ Community Room, focused on Capital’s career advancement programs involving The Hartford Financial Services Group and Travelers and a panel of students and graduates. 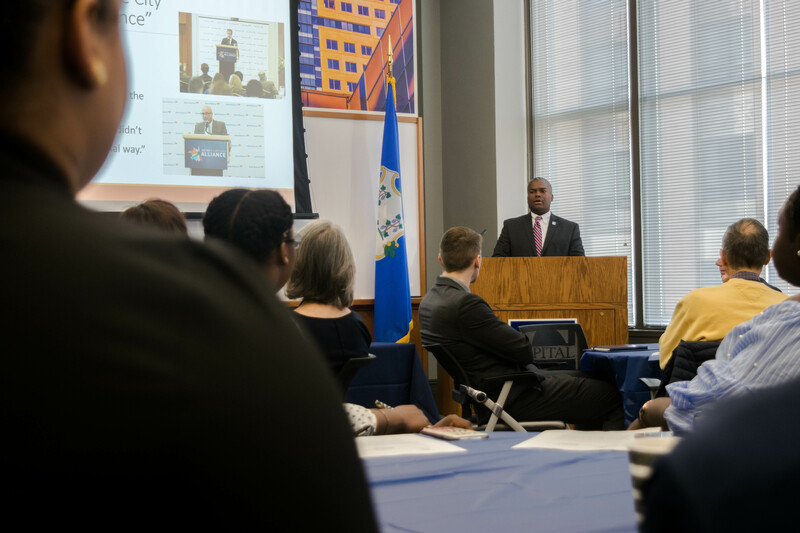 CCC Chief Executive Officer G. Duncan Harris, Ed.D led the discussion and described the college’s role in a “Hartford renaissance” that includes public and private partnerships and community outreach initiatives at the downtown campus on Main Street. “We view the college as a key cog in the movement,” he said. Mark Ojakian, the president of Connecticut State Colleges and Universities, praised the college, citing opportunities for Capital students thanks to collaborations with business and cultural neighbors. Ojakian also said Capital was the first Community College to participate in the Supplemental Nutrition Assistance Program (SNAP). SNAP education and training funds offer recipients tuition-free training in a range of occupations. The program is now available at all 12 community colleges. Insurance apprenticeships provide tuition and paid work experiences for associate degree candidates. Upon graduation CCC students receive a nationally recognized credential and move directly into a job. 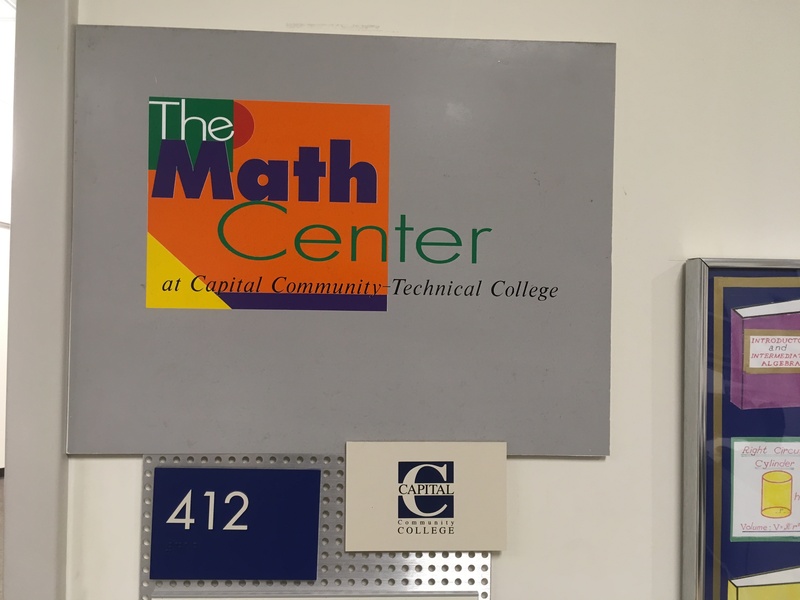 Because of the success of a first cohort of CCC students, The Hartford is rolling out similar programs in Arizona, Florida, Illinois and Minnesota. Ojakian and Harris cited the fiscal challenges faced by Capital and other community colleges over the next several years without new sources of revenue. While a new state budget introduced by Governor Lamont keeps funding the same for the state’s community colleges with no further rescissions, Harris said Capital faces a challenging fiscal year at the forecasted funding levels. Through reallocations and the pursuit of new grants and contributions, CCC is implementing new services to improve student retention and graduation rates, including child care options for student parents, a food pantry in partnership with Foodshare and establishing an Equity, Diversity and Inclusion Center that will link students with housing, personal finance and health resources. Legislative bills under consideration in the 2019 session to lower tuition costs (SB 273) and provide child care support for student parents were shared at the forum. SB 273 , favorably reviewed by the Higher Education and Advancement Committee, would enable in-state recent high school graduates at community colleges to graduate without student loans and encourage residents to complete the Free Application for Federal Student Aid. SB 934 ,unanimously approved by the Education Committee and referred to the Appropriations Committee, would expand the federally funded Care4Kids program to student parents enrolled in community college academic programs. Local and state officials attending Capital’s forum included Hartford State Representatives Joshua Hall and Brandon McGee; State Representative Rick Lopes, representing Newington and New Britain, and; State Representative Bobby Gibson, representing Bloomfield and Windsor; Dr. Leslie Torres-Rodriguez, Hartford Superintendent of Schools; Bloomfield Mayor Suzette DeBeathamBrown; Dr. Larry Deutsch, Hartford City Councillor; Carolyn Harris, aide to Hartford Council President Glendowlyn Thames, and; David Grant, representing Hartford Mayor Luke Bronin. Also participating were Merrill Gay, executive director of the CT Early Childhood Alliance; Bernie Michael, Asylum Hill Neighborhood Association; Raina Giddings, Investor Relations Director, MetroHartford Alliance, and; Tara Spain, vice president and COO of The Travelers Foundation. Joining Dr. Harris and Jodi Greenspan from the CCC Foundation Board of Directors were Anthony Barrett, John Perkins and the Rev. Y. Trevor Beauford. The College’s Foundation, a nonprofit organization established in 1985 to raise funds and manage endowment funds, annually supports CCC town and legislative forums when the state legislature is in session. 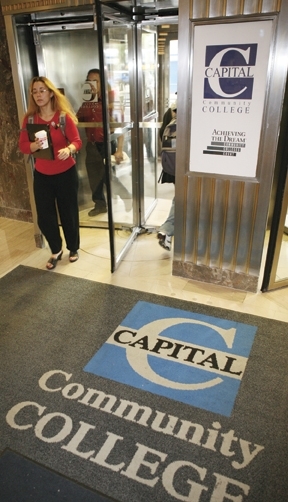 Capital Community College enrolls 3,315 (fall 2018) in associate degree and certificate programs with transfer opportunities to four-year institutions. One of the most ethnically diverse campuses in New England, CCC is designated an Hispanic Serving Institution. Over 75% of students reside in Hartford and eight surrounding communities, including East Hartford, New Britain, West Hartford, Manchester, Bloomfield, Windsor, Wethersfield and Newington. 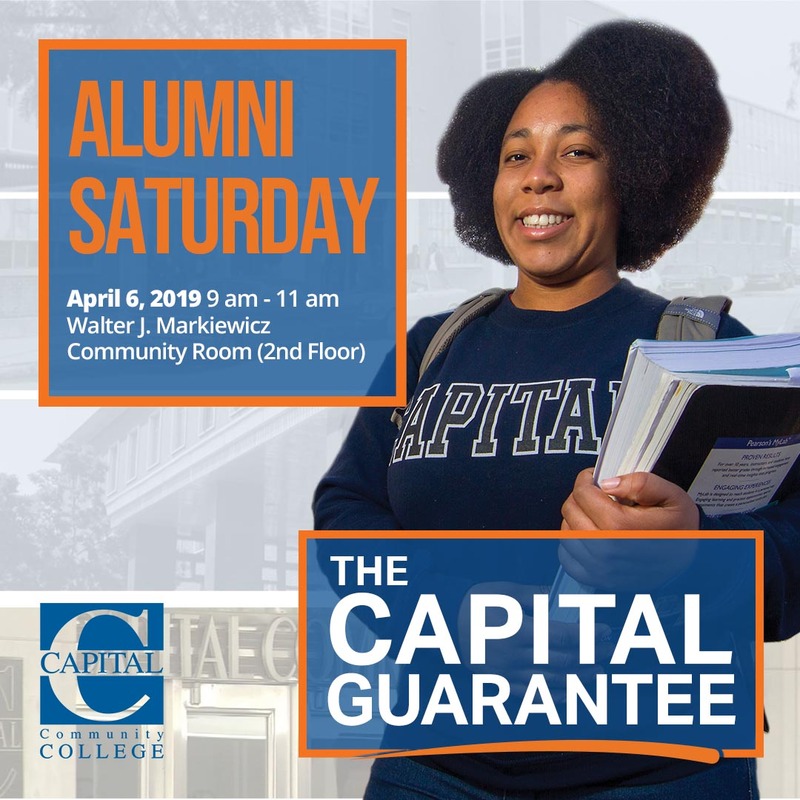 In a March 7th profile Capital’s CEO Duncan Harris focuses on Capital’s enrollment and community outreach efforts during the 2018-2019 year. The story first appeared in the February 21st edition of Diverse Education. Dr. G. Duncan Harris didn’t always know that he wanted to work at a community college. But as a youngster, he grew up on college campuses. 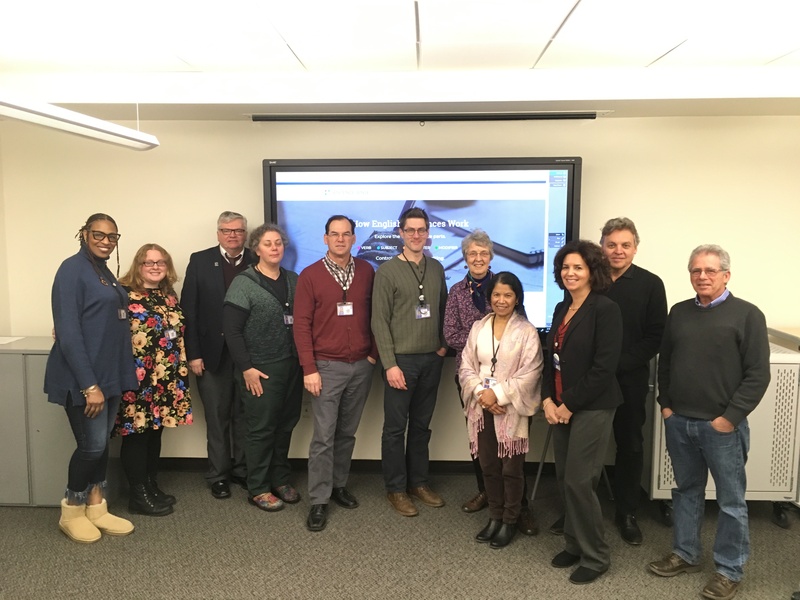 Capital Community College is the recipient of a $75,000 grant from the Connecticut Health and Educational Facilities Authority (CHEFA) to enhance its radiologic technology laboratory at the Main Street campus. CHEFA, a quasi-governmental agency that provides funds to improve the health and education of Connecticut residents, announced recipients of $1 million in grants on Wednesday, February 27th at the Legislative Office Building in Hartford. State Treasurer Shawn Wooden and State Senator Will Haskell, co-chair of the Higher Education and Employment Advancement Committee, joined CHEFA officials in a ceremony with representatives of colleges, Workforce Development board and organizations receiving grants this year. entry-level radiological technologists is estimated to remain above average through 2026, according to occupational outlook data from the Bureau of Labor Statistics and the State of Connecticut. Professor Paul Creech, Esq. is the coordinator of the program . 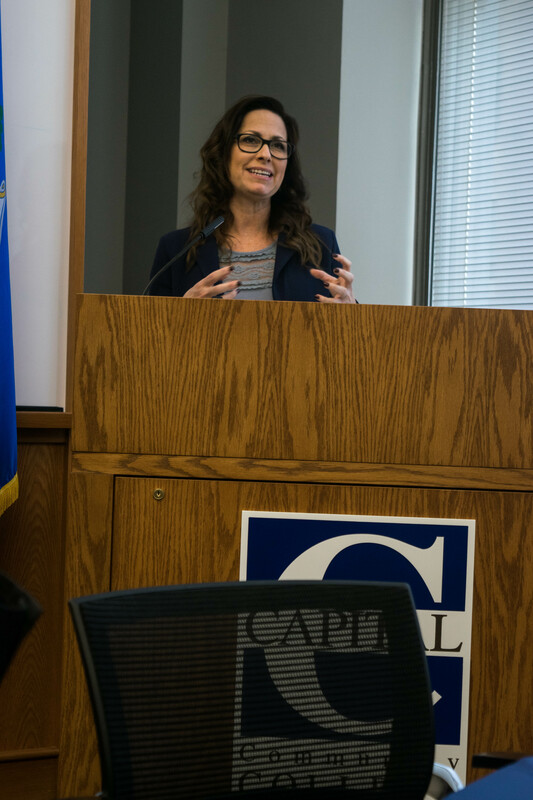 Capital was one of five institutions of higher education to receive grants that support STEM education and careers. Others include Naugatuck Valley Community College, Central Connecticut State University State, Sacred Heart University and the University of Saint Joseph. Established in 2002, the CHEFA Grant Program supports nonprofit organizations that provide essential health, educational, cultural, and childcare services to the residents of Connecticut. More than $30 million has been distributed to Connecticut nonprofit organizations. CHEFA is the authority that manages tax-exempt bond financing and child car loan programs.